Arizona (AZ) is justifiably one of the most popular road trip destinations in America. Though the state has become famous for Grand Canyon, it has much more to offer travelers than access to the "natural wonder of the world." Arizona's diverse landscape and vacation versatility is sure to please any outdoorsman and adventure seeker. Majestic mountain ranges, cool pine forests, colorful meadows, swift rivers, massive canyon lakes and tranquil desert sunsets make Arizona a truly spectacular destination. 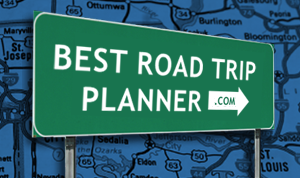 Popular road trips and routes in Arizona are: the Grand Canyon, Tucson, White Mountains, Flagstaff, Phoenix, and Lake Havasu. Pack up the car and explore Arizona's road trip highlights! Not much between Globe and Show Low, Arizona. The towns are few and far between on this route. Most of it goes through the Apache National Forest so there is little development.